The parents of a woman accused of illegally keeping her 8-year-old son in Brazil and away from his father in Houston, Texas, have been arrested in Miami, Florida. Carlos and Jemima Guimaraes were apprehended by federal agents Wednesday at Miami's airport after their flight landed from Brazil. 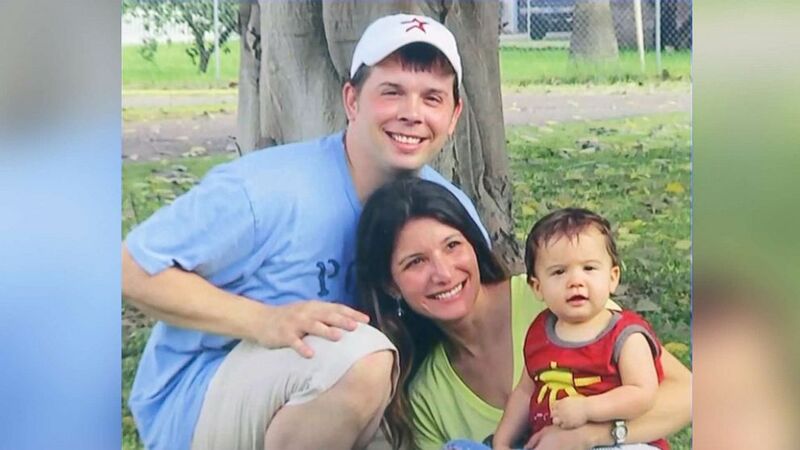 The two now face charges of alleged conspiracy and international parental kidnapping in Texas. According to a criminal complaint filed in Texas, the two allegedly helped their daughter Marcelle Guimaraes relocate to her native Brazil five years ago and mislead ex-husband Christopher Brann, a U.S. citizen, about when son Nicolas Brann would return. "I am very sorry it has come to this," Brann said in a statement. "All I ever wanted -- and all I still want -- is for my son Nico to have equal access to both his loving parents. If Nico is immediately returned to Houston, I am prepared to ask the U.S. Attorney's Office to be lenient in how it handles Carlos and Jemima's cases." Brann and Marcelle Guimaraes, a dual Brazilian-American citizen, were married in February 2008 in Texas. She gave birth to their son, Nicolas Brann, in September 2009. By 2012, she'd filed for divorce. Court documents said in May 2013, the two agreed that she and Nicolas would travel to Brazil to attend her brother's wedding on July 6. According to the criminal complaint, which included findings from FBI agent Christopher Petrowski, Marcelle Guimaraes was to take Nicolas to Brazil on July 2 and return no later than July 20, 2013. According to Petrowski, on July 27, 2013, Brann was informed Marcelle Guimaraes was "too sick to travel and undergoing tests." On July 29, 2013, Petrowski said, Carlos Guimaraes told Brann via email that his daughter was awaiting results of medical tests before facilitating travel for Nicolas. Two days later, court documents said, Brann received an email from Carlos Guimaraes, stating that the boy would be returning to the US on Aug. 4, 2013. But, on or about Aug. 4, 2013, Marcelle Guimaraes's lawyer alerted Brann's counsel "that Carlos Guimaraes had communicated to him, that Marcelle and Nicolas would establish permanent residence in Brazil." On Sept. 22, 2013, according to court documents, she sent an email to Brann, saying in part, "I want to continue living in Brazil, where l have better conditions to raise our son and I am willing to talk about visitation. ... Again, my wish is that we can get into an agreement soon, so we can all move on with our lives." Brann told ABC News station KTRK-TV that he'd been able to visit Nicolas but that the two had to be accompanied by armed guards and he could not bring the boy to the U.S. In February 2015, a Texas court "found Marcelle Guimaraes liable for wrongfully retaining possession of and concealing the whereabouts of Nicolas Scott Brann contrary to the possessory rights of Christopher Scott Brann and that such conduct was done with malice and intent to cause harm." By March 2017, according to court papers, Nicolas, then 7 years old, had not returned to the US. "There is no doubt that they've done everything in their power to prevent me from having my son in my life," Brann said. In his affidavit, Petrowski said that he believed she and her parents had removed Nicolas from the US "with the intent to obstruct the lawful exercise of parental rights" and "conspired either to commit any offense against the United States, or to defraud the United States." Petrowki also said Marcelle Guimaraes had premeditated the alleged abduction before their July 2013 flight. She'd enrolled the child in her mother's school in Brazil in April 2013 for the 2013-2014 school year, he said, and had been offered a job at the school the following month. Petrowski said Marcelle Guimaraes had also filed for sole custody of Nicolas in Brazil in July 2013, days after their arrival. A judge in Brazil granted her sole custody, according to Petrowski, though Brann was "never given notice to appear for this hearing or given the opportunity to submit evidence." Marcelle Guimaraes now faces charges similar to those of her parents. She remains in Brazil. Her parents are expected in federal court Monday. Federal prosecutors have recommended no bond. Attempts to reach the lawyer for Marcelle Guimaraes and her parents were not returned. "If there's anything that gets me a step closer to having my son home then I'm all for it," Brann told ABC News station KTRK-TV. "Just the glimmer of having him back here at home is why I've been fighting for us for five years."